Info Cathy Cox took office as Georgia?s Secretary of State January 11, 1999. In the 1998 election she won 133 of Georgia?s 159 counties and received nearly 57 percent of the votes cast. Ms. Cox is Georgia?s first female Secretary of State. 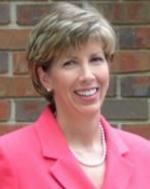 Cathy Cox has an extensive background in law, journalism and public service. Before her election, she served three years as Assistant Secretary of State. From 1993 ? 1996 Ms. Cox represented Miller, Seminole, Early and Decatur counties in the Georgia House of Representatives. As Secretary of State Cathy Cox has pushed for changes that enhance customer service and protect Georgia consumers. She undertook the largest decentralization in Georgia government history, moving her largest operating division from Atlanta to Macon. Because of her leadership a new State Archives facility, which will better protect Georgia?s historical treasures and documents, is now under construction in Clayton County. Her Corporations Division has become a leader in governmental e-commerce, offering a broad array of services through the Internet and e-mail. Her agency?s technological leadership has won national acclaim. In 2001 the Council of State Governments named her agency?s website best in the nation. Secretary Cox put campaign disclosure reports on the Internet, allowing citizens to see for themselves who is supporting candidates for public office. She expanded the agency?s successful license suspension program, which requires deadbeat parents to pay child support, to now include those who default on their student loans. Those initiatives have saved Georgia taxpayers millions of dollars since their inception. Ms. Cox successfully fought to reform regulation of the cemetery and funeral home industries, and got tough new legislation passed to crack down on viatical investments and questionable securities products. Secretary Cox?s new electronic voting initiative is putting modern, accurate and state-of-the-art electronic voting equipment in every Georgia county in time for this year?s November general election. These new systems will make Georgia elections more accurate and more accessible to the disabled and visually impaired. When it comes to election reform, no other state has come so far so fast. Cathy Cox was born in Bainbridge in southwest Georgia. She learned her love of public service from her father, Walter Cox, who was Mayor of Bainbridge and served for 16 years in the Georgia General Assembly. Ms. Cox attended Abraham Baldwin Agricultural College and continued her studies at the University of Georgia, where she earned a journalism degree. Her career began as a newspaper reporter with The Gainesville Times and The Post-Searchlight in Bainbridge. Later, she entered Mercer University Law School, where she was editor of the Law Review and graduated with honors. For 10 years, Ms. Cox practiced law in Atlanta and Bainbridge. Ms. Cox has received numerous honors for her public service. Mercer School of Law awarded her the 1999 Distinguished Alumna Award and ABAC designated her its Outstanding Alumnus. The Georgia Commission on Women named her the 2000 Woman of the Year. For the past four years Georgia Trend magazine has chosen her as one of the 100 Most Influential Georgians. Ms. Cox, 44, is a member of the United Methodist Church. She and her husband Mark Dehler, an attorney, reside in northeast Atlanta.